ICE East of England presents its Merit Awards every year to celebrate and recognise outstanding civil engineering. Entries for the 2019 Awards will be invited in the new year. Projects can be entered for more than one award. To be eligible projects must be physically located within the ICE East of England Region which includes Bedfordshire, Cambridgeshire, Essex, Hertfordshire, Norfolk, Peterborough and Suffolk but excludes any London Boroughs. They must have been completed, that is to say opened or commissioned or occupied, by the competition closing date Friday 26 April 2019. Thus, the 2019 Awards will be for projects completed between 1 January 2018 and 26 April 2019. There will be a fee for entry into the Awards. Please note you must pay a fee for each entry, submitting the same project in more than one category will count as multiple entries. The East of England Merit Awards have previously recognised some of the best examples of civil engineering and problem solving across the region. Find out more about some of our previous winners. In 2014, the UK suffered its worst rainfall in at least 248 years. As a result, thousands of homes were flooded causing an estimated £1.1bn in damage. Since then, Jackson has been completing vital projects in the East Anglian region for the Environment Agency under the Asset Refurbishment Programme of Works (ARPoW). 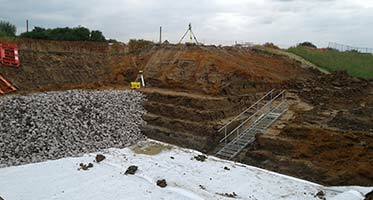 The project was undertaken as part of the ARPoW package, and came about following an 80m long embankment slip along Walton Counter Wall, which provides flood protection to 965 houses in Walton-on-the-Naze, Essex. On the face of it, this seemed to be a fairly straightforward reinstatement job – to keep things simple, we could have drained the ponds, dug out the embankment and rebuilt it, however, challenges posed by local wildlife required some innovative solutions to ensure the best possible outcome for both the local area and for our client. This project was successfully delivered with minimal disturbance to the ponds and wildlife, as well as minimal material movement on and off site. By using innovative and lean construction techniques this sped up delivery and minimised costs. Construction of a new 400m long berth 3 at London Gateway Port, to extend the capacity for handling containers. 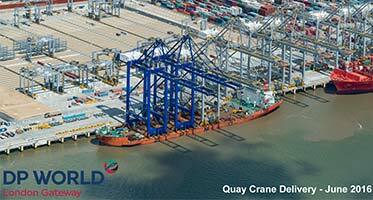 Owned and operated by DP World and situated on the north bank of the River Thames on a former oil refinery site, London Gateway is the most significant UK port development for 30 years and the UK's first 21st Century major deep-sea container port. Located at the heart of the country's largest consumer market, just 10 miles from the M25 motorway, London Gateway offers a quicker, cheaper and more environmentally friendly way to transport goods to their destination. When fully developed, the project will have 2.7km of deep-water quay with an annual capacity of 3.5 million TEU (20 foot Equivalent Units) and one of Europe's largest logistics parks. It will contribute 36,000 jobs to the UK economy. The construction works at London Gateway started in 2009 and the port opened in November 2013. by mid-2014, a decision was taken to extend the capacity by developing the onshore area behind the Berth 3 quay wall, which had been constructed as part of earlier works and won Merit Awards for Physical Achievement and Team Achievement and was Highly Commended for Technical Excellence and Innovation in 2014. 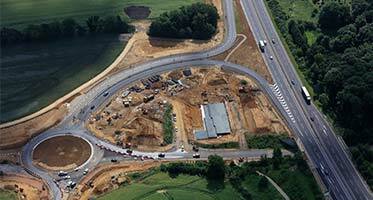 The Berth 3 project was complex and had to be delivered to a demanding timeframe. The works were split into four major packages and a number of smaller packages, all managed and coordinated by London Gateway's own team of multi-discipline engineers. The first contract was executed in March 2015 and Berth 3 was fully commissioned and opened at the end of March 2017, under budget and on programme. The Werrington Brook Improvement Project is a 5-year project to address the physical and chemical characteristics of Werrington Brook, a sub-catchment of the River Welland, thereby improving water quality. This contributes directly to Peterborough City Council's objective of achieving a sustainable maintenance solution at Cuckoo's Hollow, a valued local lake and green space amenity located in Werrington, a suburb of the city. Partnerships have been at the heart of this project. Working together, those involved have been able to think bigger and deliver more for the environment and people. The project team have re-engineered the channel building features typically found in more naturalised water ensuring sustainability and resilience. Project partners have complimented the physical improvement works by educating general public, local schools and groups, using a range of literature, digital media and face-to-face engagement to promote the work linking it to the local environment and urban drainage issues. The advantage of having a phased project is that the team were able to implement their learning from the previous phase on the next one. Key to the improvements was working within the constraints of the site, such as footpaths that bridge the boundaries of the brook, narrow access points and ensuring a balance in material gained. This project's legacy is community involvement, increased amenity value and reduced maintenance, while providing safer access for operational staff and the public. 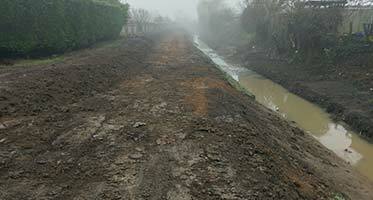 Breheny Civil Engineering (BCE) were Principal Contractor on the new Bury St Edmunds Eastern Relief Road. This new 2.5km road has connected the eastern industrial area of Bury with Junction 45 of the A14, featuring five new roundabouts, Traffic Signals, utilities and a dual use footway/cycleway. The project has been a collaboration from the outset with a large number of major stakeholders such as Suffolk County Council (the client) and Highways England. The project had many innovative features, including Suffolk County Council and BCE being located in the same office, recruitment of trainees and apprentices from the local area and low energy asphalt. They have even developed their own fall protection device. The project was completed on time and to budget. Station Square is a transport interchange hub at the centre of the new business district in Cambridge; CB1. The Square provides taxi and private car drop off and collection facilities for the rail station, accessible parking spaces and creates a safe shared space for pedestrians and cyclists. The first phase of Station Square was opened to the public in July 2017. The square is the centre piece of the CB1 development, providing a functional and attractive space for an area which was previously crowded and unsafe, filled with abandoned bicycles and with poor lighting. 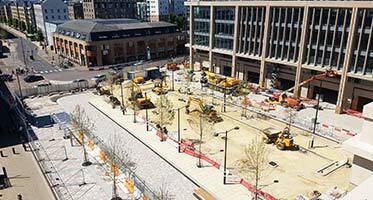 Station Square was completed by a local developer on behalf of the land owner Network Rail. The responsibility of operating and maintaining the square falls under the lease of the station and train operator, Greater Anglia. Such a critical piece of infrastructure required a considerable level of consultation with multiple third parties to achieve a design which worked for the public, whilst still meeting Network Rail's requirements, and delivering a high-quality and attractive product. Additional challenges were the central location of the site and phasing of the construction whilst maintaining access to the station and its facilities throughout its delivery. Principal Contractor & Designer: Osborne Infrastructure Ltd.
Lead Designer: Mott MacDonald Ltd.
Featherbed Lane Bridge has improved community transport links through the innovative use of off-line construction to avoid the need for disruptive road and rail interventions. The project is an example of how to deliver a successful, modern civil engineering project, in the middle of the community. Showcasing a variety of civil engineering techniques, logistical & community engagement challenges, multiple stakeholders, service diversions, ground uncertainty, highways & rail environments; it offered challenges, rewards and socio economic benefits. The bridge had been in the making for around 14 years as a planning constraint, limiting further housing development in the area. Previously the existing housing estate had been served by a narrow road bridge which was unsuitable for the traffic it was carrying. 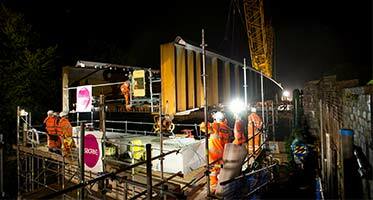 Osborne were appointed by Bovis Homes as design and build contractor to develop a new bridge over the West Coast Mainline railway to eliminate this dangerous traffic bottleneck. With design partner Mott MacDonald a bridge design was developed for a 35m long, 7m wide, half through weathering steel girder bridge. The project fulfilled the aspirations of client Bovis Homes, adopting body Hertfordshire County Council, and a grateful local community. It was delivered on time, on budget and to a high standard, ready to serve users into the 22nd century.